100% Cotton Pullover Hoodie in Charcoal featuring the Heartless Bastards Panther design. 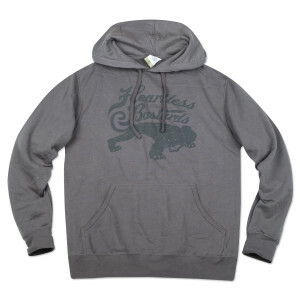 Awesome medium weight hoodie. Fits true to size. Washed in cold water and light heat so not to shrink. So far, so good. Really soft inside, I like it!